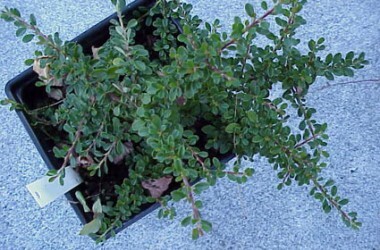 We will send groundcovers, compact rosette tuffets, and even some very dwarf shrubs perfect for your trough design. We can select from Achillea, Ajuga, Allium, Arabis, Armeria, Artemesia, Buxus, Cheilanthes, Dianthus, dwarf Equisetum, Euonymous, Hieracium, dwarf Hosta, Lychnis, miniature Pennisetum, Petrorhagia, Phlox, Plantago, Ruta, Sagina, Saxifraga, mini Scabiosa, Sedum, Silene, Teucrium, Muehlenbeckia, Veronica, Viola; and, of course many dwarf and prostrate conifers and miniature deciduous shrublets. If you want this for a hobby model railroad miniature landscape, please mention this. With information from you we could also select a complementary group for a trough kept in a tropical conservatory or at a sunny window as well from such tropicals as Abrometiella, Crassula, Sedum, miniature Euphorbia species, Figs, Cryptanthus, Hemigraphis, Peperomias, Colysis and a host of others--this is a quickly expanding category and we are prepared for you. As many of our long term customers have evolved (?) from vast gardens to deck planters and troughs and to plant rooms and lite gardens, perhaps this will eventually become the "Boomers' Collection"--whatever. 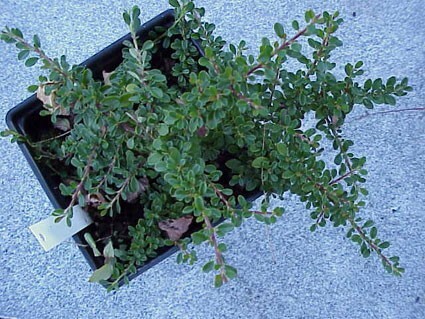 Unless you suggest otherwise, we will send 10 dependable winter hardy complementry plants. This collection is a perect choice for Fairy Garden designs. Let us know if this is for a temperate zone fairy garden.